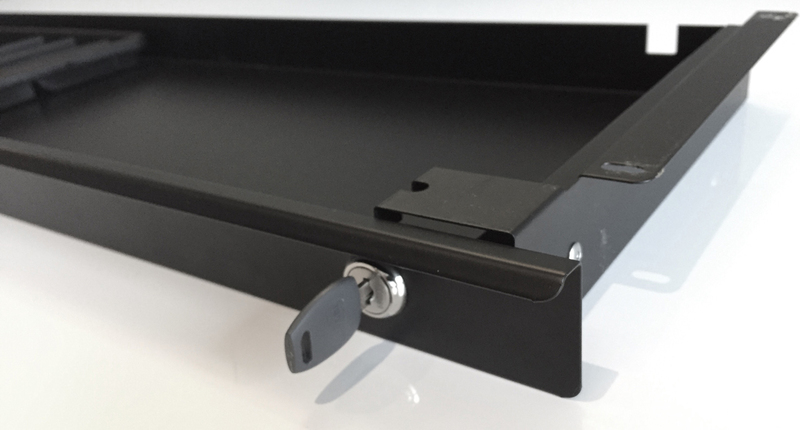 Metal drawer with metal slide out rails. 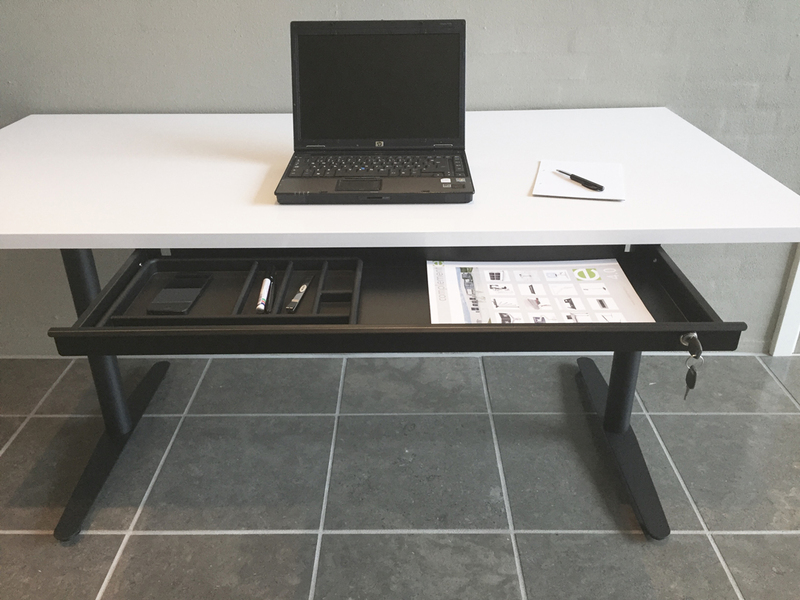 The drawer is easily mounted underneath the tabletop and is functional for storage of pens, papers, etc. Includes lock and tray insert. Width 1200 mm, depth 250 mm, height 45 mm. Width 850 mm, depth 250 mm, height 45 mm. Width 500 mm, depth 250 mm, height 45 mm. Width 220 mm, depth 250 mm, height 45 mm. T-AABLCOM220 does not Include tray insert.